Rivalries in sports have always added spice to the contest. It is the same with Cricket in India. With a high political history behind, the matches between Tamil Nadu & Karnataka have been fiercely contested in the domestic arena. It continued in the Indian Premier League as they developed a healthy on-field rivalry. 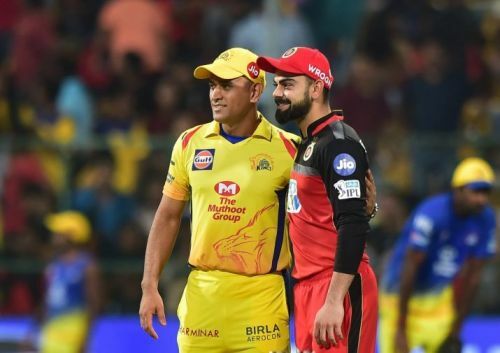 Terming it as "Cauvery Derby" or "South Indian Derby", Chennai Super Kings and Royal Challengers Bangalore have been involved in some of the best encounters the league has ever seen. From last ball finishes to the banter in social media, the things have always been happening between these two franchises. Although CSK boasts a healthy 14-7 head to head record, matches have always been equally battled ones. From many such encounters, let us look at the top 5 encounters in the “CSK-RCB” rivalry. Table toppers Chennai faced a struggling Bangalore in a league match of the 2014 season. On what seemed a very slow track in Ranchi, Dhoni opted to bat first. Batsmen couldn't get going due to the slowness of the wicket as runs were hard to come by. Suresh Raina anchored the innings with a 48-ball 62 as Chennai scored 138 in 20 overs. CSK's spinners were difficult to get away with, as the likes of Kohli and Gayle scored at a strike-rate less than 100. Jadeja dismissed Kohli for 27 which brought AB de Villiers to the crease. ABD smashed three sixes and a four within an interval of five balls, to change the complexion of the game. With 10 required off the last over, Dhoni asked David Hussey to bowl. Yuvraj Singh smashed a six off the first ball to ensure two important points for his team. AB for his match-turning sixes was awarded the man of the match.